Sign up for Broadjam today to follow SweetKenny, and be notified when they upload new stuff or update their news! The album " Slobber " started out in a dream, doing something fun and with a message for the album, Ken begun writing songs with a kinda Let Me Help You Feeling in them and with a just let it Happen to it attitude, and songs started to flow. The result is an album with fun but at time's powerful recording from Ken. 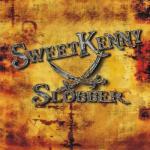 SweetKenny's " Slobber " is a " Heavy Rock, Vocal, Instrumental, High Energy " fun album, with a mix of instrumental guitar and vocal songs. It's a 10 track album with songs like " Nice Girls Like You " , " Inside Out ", and " She's A Freak So Run " a song about the kinda girls to keep from, with his free style playing on this album makes it a must have album to listen to and have. This album has alot of fun to it with his song " Russels Groove ( A Space Ride ) ", a funky flowing guitar track about along time friend, and his vocal song " Running From The Pain " a song about getting the help you need. There's something for everybody on this album to enjoy! Kens style of playing makes it a must have album!! SweetKenny's " Slobber " SweetKenny's " Slobber " will be officially released on January 15, 2015 and is being sold through CD Baby! as a downloadable album and Bandcamp.com. 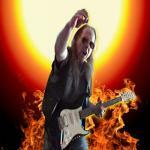 you can find SweetKenny on Spotify, Amazon, and iTunes, as well as other media outlets on the web.